St. Patrick's Day Holiday Decor: Leprechaun Footprints! Cute St. Patrick's Day Holiday Decor: Leprechaun Footprints! 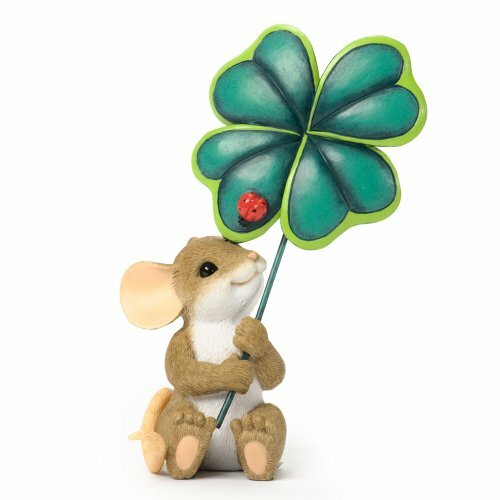 Pick up this fun set of green leprechaun footprints to delight your guests this St. Patrick's Day! Each little foot print is Kelly Green and every other step has a little shamrock logo. This is a cute and subtle holiday decoration for St. Patrick's Day. You'll get 8 pairs of prints that are made to cling to smooth surfaces. 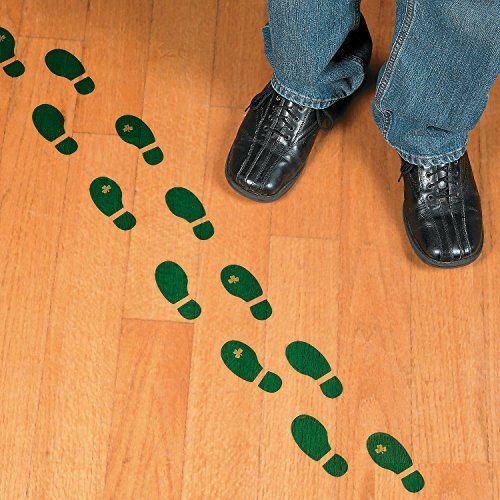 These vinyl footprints are easy to remove after the holiday. 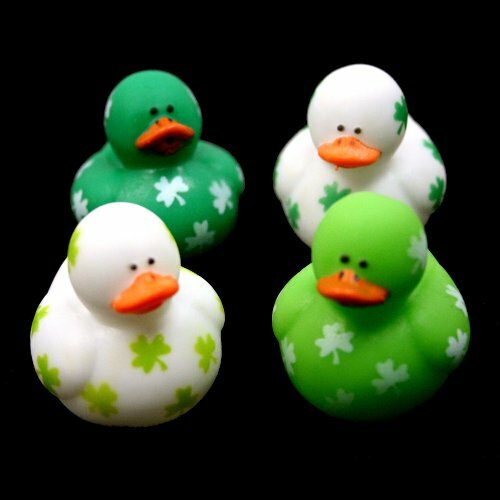 Use the footprints to direct guests to the green beer in your fridge, or to your pot o' gold!